You know how I always say that I need to quit eating sweets and baking things because then I want to eat them? Well, it doesn’t seem to be working. I made cobbler three times this week, which also means that I ate cobbler three times this week too. In my defense, I was trying to get the recipe just right. Happily, the third time was a charm, so now I can move on to eating something else like, I don’t know, maybe more salad. I’ve never really thought of myself as a blueberry-lover. Growing up I remember my uncle looking forward to wild blueberry picking season. I don’t know that I’ve ever noticed blueberries growing anywhere all nestled in amongst the flora and fauna. Perhaps I haven’t really been looking as well as I should have…I do know there are a few patches of rosy raspberries here and there up at the lake though. In any case, I really love how this blueberry cobbler turned out. Here’s the recipe if you want to try it too. First prepare the fruit mixture. In a small container, melt butter and then stir in vanilla and lemon juice. Pour the mixture over the blueberries and stir gently. Divide blueberries among four ramekins. Top each portion with 1/2 tsp. of sugar. For the topping, mix together flour, sugar, baking powder and salt. Set aside. In a separate bowl, whisk together the egg, vanilla, milk and melted butter. Add the wet mixture to the dry. 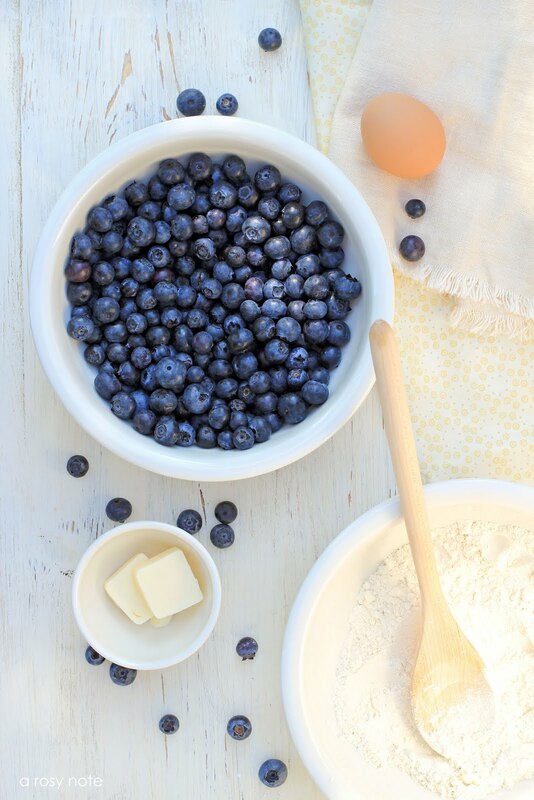 Divide dough into four portions and spoon on top of blueberries. Sprinkle dough with a little sugar, if you like. Place ramekins on a cookie sheet and bake at 350 degrees until the crust is golden, which is approximately 25 minutes. Serve slightly warm with whipped cream. I hope you all have a wonderfully happy and sunny weekend! Ohhh…delicious, I would like to try this and give you my compliments :)! Such beautiful photos – makes me want to sit outside on the grass and eat those delicious looking desserts . . .
My father has a blueberry farm and the best times of my life were during picking season when we would get up early and pick the fields by hand. We would be purple for 2 months! I'm always looking for a new cobbler recipe…we all have our own and it's fun when we get together to try each others. Hope you are enjoying this beautiful spring! That looks yummy – I love cobbler! Have a wonderful weekend, Tricia! Thank you for the recipe, those look delicious! I need to stop baking all these delicious things too one day lol. I love your blog… beautiful pictures! Your images…just beautiful. The recipe is the sugar on top! I love your bluberry photos…beautiful! I love sweets so I can truly understand. Your photos belong in magazines my dear friend..they are stunning and so mouth-watering. Have a great weekend dear friend..enjoying all the things you love to do! I'm enjoying being with my son down south! He's at work until early afternoon, so I'm loving some quiet time while I wait for him. We're headed to Niagara when he returns! Oh such fun; and the photo opportunities! So special and made even more so by the lovely photos and the bonus recipe!! Ooooohhhhhh, I can't wait to try this! I love blueberries and I love cobbler. Yum! Thank you for sharing the recipe. Well, I most certainly am a blueberry lover. Have the frozen variety every morning on my breakfast cereal. You take such splendid photos of food. such beautiful pics!!! And I LOVE blueberries, I'll be making this for sure! I think I'm going to come see you this weekend, I would love to spend time at your wonderful home! You could cook for me, and we could pick flowers, and you could teach me a few things about photography! You just have to most amazing pictures, they are all so beautiful! And I will have to try this out, my Blueberries are almost ready for pickin'! looks sooooooooooo delicious 😉 beautyful photos!!! Beautiful photos and composing – I love how the dappled sunlight in the last image brings out the brilliance the baked blueberry juices. I have such a hard time with photographing blueberries, I probably need to get them outside. Enjoy your weekend! really nice pictures as always, you should publish a book with them!!!! The photos are just excellent …..
Tricia, this recipe looks delicious. I am definitely going to try it this weekend. I have been in the mood for a cobbler. I'm making strawberry shortcake tomorrow so I'll try your cobbler on Sunday. It is going to be a delicious weekend!!! Thank you for sharing your recipe. As always, your photos are beautiful. Have a wonderful weekend. this is something my grandma used to make, and i am nuts about blueberries so i am so glad you shared! 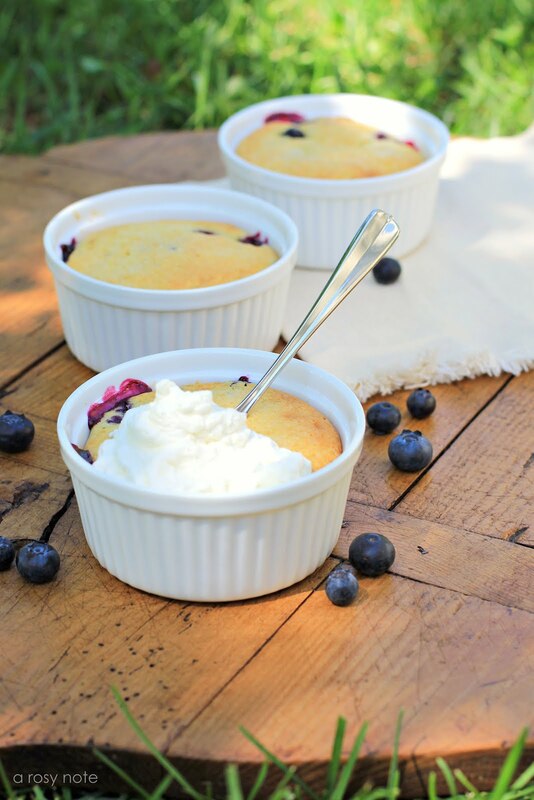 Tricia, I just LOVE blueberry cobbler, and these look wonderful. I actually picked up some blueberries today. They were destined for a pie, but you can bet plans have changed! Thank you so much for sharing the recipe here. Your photographs are just wonderful. I love the light on the berries in the second one. Truly so lovely. Sending you wishes for a fantastic weekend! They look delish! I'm not much for the picking part of berries, but I do love to eat them. Maybe I'll have to break down and go to a berry farm. Fresh picked blueberries are so much better than the ones at the grocery store. Wild blueberries are even better. 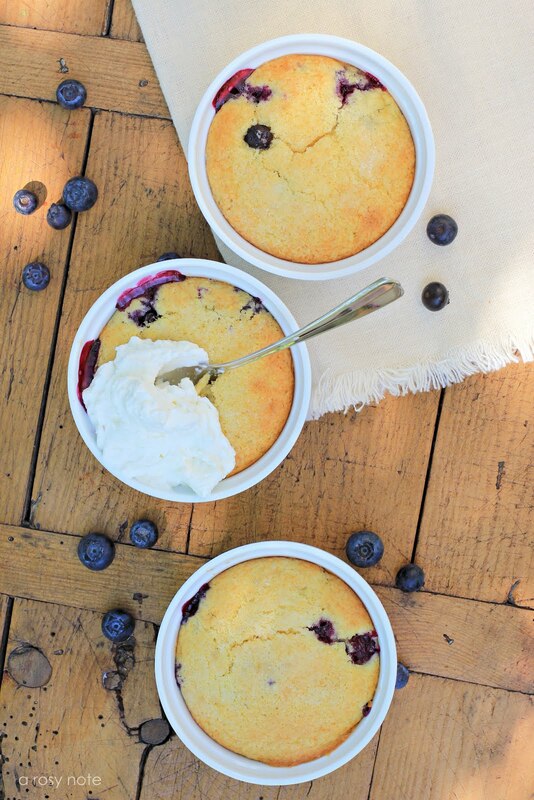 Your photos make me want blueberry cobbler right now. This instant. Love it! Peach Cobbler is my favorite cobbler…. sad to say, I've never tried any other flavor!!! Now you see what you've done… you made me dribble all over the keyboard!!! Can't wait to try this when I have some time. It looks yummy… I wishI had one right now with my coffee. This looks so yummy! I love blueberries so I think I might actually try this. Thank you! Looks delicious…and blueberries are so healthy! How mouthwatering, Tricia! Your photos are really wonderful! I am loving this wonderful weather, too! yum…are you going to make these for me? Yumm.. I just love cobblers. My favorite is Peach. I have made it three time this season already. But I think I am going to have to give Blueberries a try..
Beautiful! These look perfect for a Memorial Day celebration! AMAZING POST:) Your blog is so wonderful….I asked you a while ago if you have twitter or facebook? ?to follow you with. I Never liked blueberries until I got older…now I really like them! Whether it's a flower…or wonderful home decor…or blueberry cobbler…your photos are unbelievably evocative, Tricia! I am definitely trying this! Looks so so yummy. My daughter will love it too. Brilliant photos!! sorry i have been away, and i feel like i am bombarding you with comments, but… i love the light in these pictures. everything looks so real. Can I make this and place in the fridge until ready to bake? It is lovely. I already tried the recipe and my entire family loved it. Just wondering the ubove. Thanks! Do you mind sharing what size these ramekins are? I'm inspired to buy some to try this recipe but am unsure of what size to buy. Thank you!